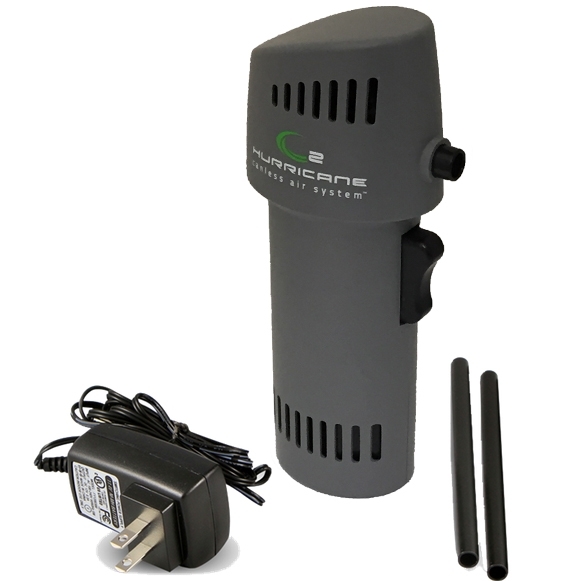 Since 2011 Canless Air System has provided the #1 canned air replacement. 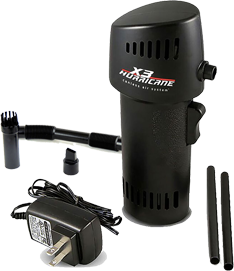 Our line of Hurricane dusters are a simple, innovative idea that has become an affordable revolution against traditional canned air. 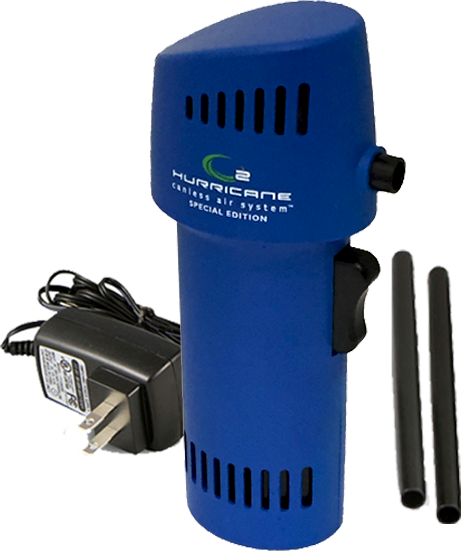 Our products are an inexpensive, permanent and environmentally friendly alternative to canned air dusters. Plus all of our units provide more continuous power than our canned competitors. 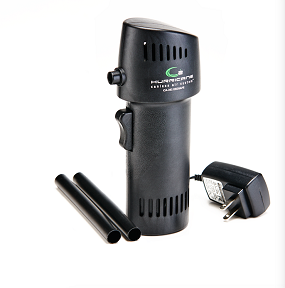 With just one nontoxic Canless Air System and you will never need to buy another can of air again. Purchase Canless Air System at our products page located at https://canlessair.com/products/. One Canless Air is equal to over 1,000 cans of canned air! Standard canned air poses many dangers, not the least of which is to children. Most people are surprised to learn that children as young as 8 have used canned air to give them a quick, and often deadly, high. The Hydroflurocarbons and Difluoroethane in them can be deadly. The inhalation of canned air can cause many negative health effects such as brain damage, seizures, permanent impairment of vital organs, hearing loss and even death. Why keep such a dangerous product in the home as a temptation to curious children and teenagers when there is a more effective solution? The answer is you should not as traditional canned air and computer duster is one of the most dangerous items you can have in your home. 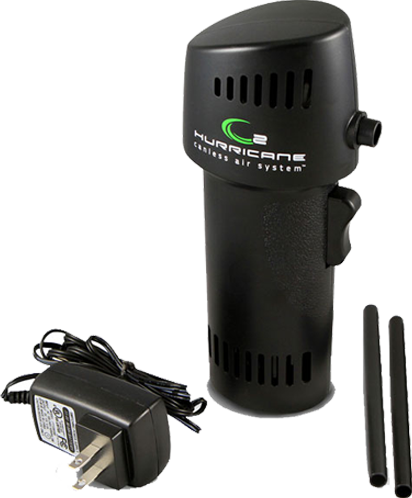 Instead you should use Canless Air System products which you can purchase on our site by visiting this link Canless Air System Products. Also, schools are another place where children have access to the traditional canned air dusters. Those dusters can be addictive and can even be deadly. Please contact your children’s schools and make sure that they are not using any traditional canned air or computer dusters, if they are please make sure they are aware of the dangers and let them know more about Canless Air System. If inhaled you would only be inhaling the same air you breathe. No fear of inhalant abuse. No proof of age needed to purchase. No secured inventory issues for retailers. 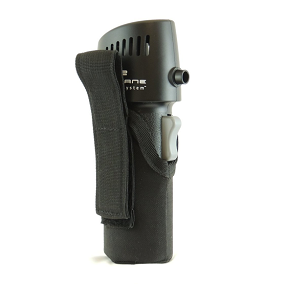 Can be used continually for over 15 minutes and will never freeze-up or cause frostbite. Can be used at any angle. No flash fires resulting in severe burns caused from chemicals – CHEMICAL FREE! Will not explode in any temperature. The O2 Hurricane does not produce any pollution. No chemical residue danger to sensitive electronics. Uses limited only by your imagination. Inhaling may cause severe illness or even death. Inhalant abuse by some for a chemical ‘high’. Sometimes retailers must have secured inventory. May freeze-up, become inoperable or even cause frostbite. Must be used in an upright position. May cause flash fires resulting in severe burns. May explode at 120 degrees. Use of one canister is equal to burning 100 gallons of gasoline. Limited uses due to chemicals. ZOMG! Used this in the overhead (by the ceiling where lights, cables and ducts usually are) of a US Navy Destroyer just prior to a zone inspection. It blew down a small trashbag full of dust we had never been able to get to before! To say this product blows would be like saying a hurricane dumps a bit of rain! 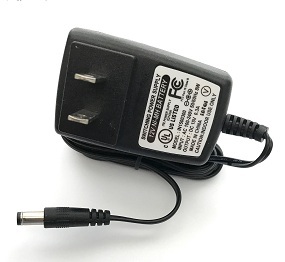 One battery charge lasts me about 4 hours of near-continuous use! This bad boy has some power! I was concerned that a portable air compressor like this wouldn’t have the power I need to get deep inside my server racks. Well, the verdict is in and my Canless air not only has enough power to get way in there, but it also can be angled/rotated in any direction with no problems AND it runs for like 20 minutes! It paid for itself in 1 week, over the price of computer duster cans, is better for the environment and better for the job! 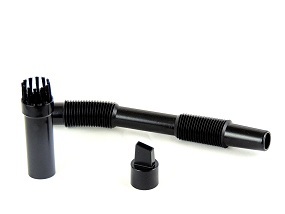 This is the coolest product with numerous uses. Besides the obvious electronics cleaning instead of wasting money on countless cans of store bought air you can use it for car detailing, blowing yourself off after mowing the lawn, sweeping/blowing out shop floors or blowing off porches and sidewalks. 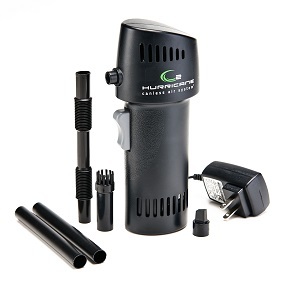 It last about quite a while, around 15 minutes, on a single charge and blows really hard. I highly recommend this and the uses for it just keep popping up. Great little device!!! I purchased a Hurricane 2 last week for my work. I am a copier/printer/computer tech for Xerox. I have been using the Hurricane for everyday to clean toner and dust out of the copiers. (Some of them get pretty nasty.) 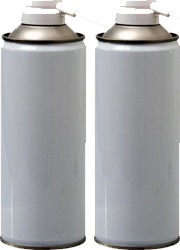 Regular canned air tends to spit out the “Freeze Spray” which melts the toner and dust to the covers. But with the Hurricane that’s not a problem. I have had several of my customers ask me “what is that thing?”. I show them what it is and how it works, and they all start talking about how much money they’ll save and how well it works. I believe I’m your best sales person!